A list of standard field names that you will use in every CAS file within your group/company. This list also stores the field types, formats, and descriptions. The data reference helps you maintain consistent field names across multiple CAS files, which saves time by letting you reuse reports built in other CAS files. When does it come in handy? 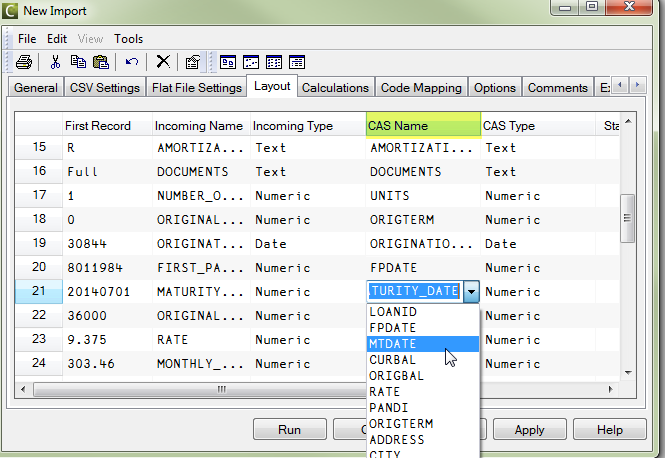 The Data Reference populates the autocomplete and drop-menu options in the Import layout for the CAS name. 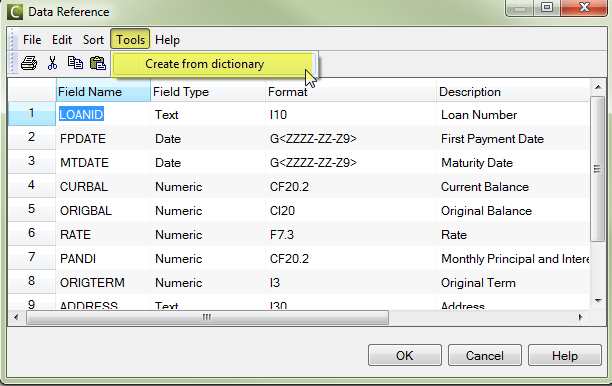 This ensures that you will be able to use your standard field names as you import a data tape into CAS. How do I build it from Scratch? Go to the CAS File Menu, and choose "Reference" to populate the grid. 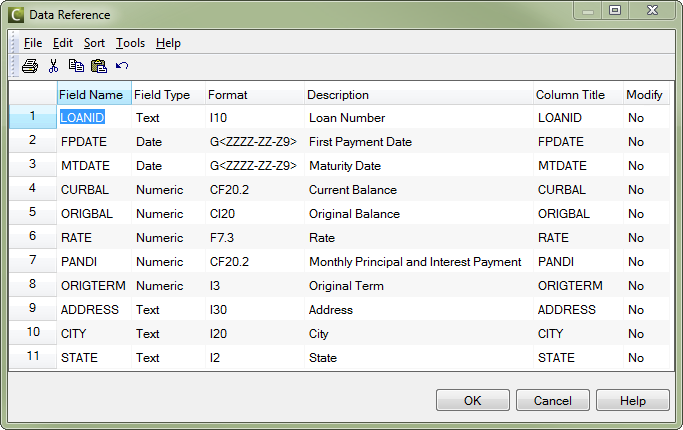 Fill in the grid with your Field Names, Field Types, Formats (for record level display purposes, and default format in reports when no format is chosen), Descriptions and Column Titles (also for displaying record level data), and Modify (Yes/No to allow the user to manually overwrite record level data in the Data View). Yes. If you are already working in a CAS file that has your fields/field names that match your naming conventions, go to "Tools > Create from dictionary". This will populate the grid with all of the Field Names, Field Types, and formats that are in your current CAS file.